Original text and images of the 1988 Schwinn sales brochure. Some challenges beg to be met. The commemorative 50th Anniversary Schwinn Paramount frameset is one of them. After 50 years and more U.S. race victories than any other bicycle, an occasion like this calls for something very special - something as distinguised as the philosophy that started it all. This year, I'm proud to introduce our 50th Anniversart Paramount. A commemoration of the fifty years of handcrafted design precision and engineering refinements that embody the spirit of to day's Schwinn Bicycle. It's 24 karat gold-plated fork is a symbol of the heritage and dedication that has made the Schwinn Paramount synonymous with cycling and winning for fifty years. The 50th Anniversary Paramount can only be described as celebration of our very best. With all the refinements, race-testing and commitment to total perfection you expect and get from the name Paramount. In over 95 years of building the finest bicycles, this year I'm pleased to announce that our entire line of lightweights is our best ever. Whether for fun or fitness, touring or racing, we're ready to serve you. With a refined new line of state of the art lightweights, our nationwide network of Authorized Schwinn Dealers, and as always, our exclusive "No Time Limit" warranty. Paramount - a frameset enhanced and refined thru a delicate balance of high technology and precision hand craftsmanship. A philosophy that began fifty years ago with one single minded purpose: to achieve the highest performance allainable in a lightweight racing frameset. Today that philosophy continues with an intricate process that includes detailed computer analyses to project and evaluate component and frame characteristics and precisely determine racing stress points. Hypotheses drawn and tested. Design specifications compiled and confirmed. Performance data put to the ultimate test - the race itself. Over 120,000 miles each year by the Schwinn Pro Team. Win after win. Only then is it worthy of being called ... Paramount. Words alone are not enough to experience the result of this special commitment to perfection in a lightweight frameset. One simply must ride the Paramount. If you're ready for hand-crafted precision like never before, you're ready for Paramount. A dominant force in American cycling, winner of more U.S. races than any other bicycles. Frame: Columbus SLX tubig investement cast lugs and bottom bracket English thread (1.370" x 24 TPI), Forged Shimano dropouts, 27.2 mm seat tube. Special blend Columbus SL/SP used for sizes above 570mm. Fork: Columbus blades, investment cast crown, Forged Shimano dropouts, 22.2 mm steering tube, English thread (1" x 24 TPI). Equipment: Stronglight A9, alloy silver anodized aero, with needle bearings. Colors: Crystal blue, emerald, ferrari red, icy white, metallic black, strawberry. Frameset weight: approx. 5.9 lbs. Braze-ons: Top tube guides, 2 sets of bottle bosses, shift lever bosses, pump peg and chain rest. Designed for short reach brakes with recessed bolts, 6 or 7 speeds (126 mm rear), and 700C wheels. Construction: Hand silver brazed by master craftsmen, .005 inch alignment tolerance. Hand sprayed; 2 coats epoxy primer followed by 4 to 5 coats acrylic urethane enamel color and protective clear coats. 485mm - 19" 520mm 72.5" 75"
495mm - 19 1/2" 520mm 72.5" 75"
510mm - 20" 530mm 73" 75"
520mm - 20 1/2" 530mm 72" 75"
535mm - 21" 545mm 72" 75"
545mm - 21 1/2" 545mm 72" 75"
560mm - 22" 555mm 73" 75"
570mm - 21 1/2" 560mm 73" 74"
580mm - 23" 565mm 73" 74"
600mm - 23 1/2" 565mm 73" 74"
610mm - 24" 575mm 73" 74"
620mm - 24 1/2" 575mm 73" 74"
635mm - 25" 580mm 73" 74"
520mm - 20 1/2" 530mm 73" 75"
535mm - 21" 545mm 74.5" 75"
545mm - 21 1/2" 545mm 74.5" 75"
560mm - 22" 555mm 74.5" 75"
570mm - 21 1/2" 555mm 74.5" 74"
580mm - 23" 565mm 75" 74"
600mm - 23 1/2" 565mm 75" 74"
610mm - 24" 565mm 75" 74"
620mm - 24 1/2" 575mm 75" 74"
635mm - 25" 580mm 75" 74"
1987 World Champion in its very first year. An eloquent complement to the craftsmanship and precision of the Paramount line. Hand brazed, carefully engineered and perfectly finished, the Prologue is a high performance racing frameset that's perfect for the road criteriums and all around training. Braze-Ons: top tube guides, bottom bracket guides, 2 sets of bottle bosses, shift lever bosses, pump peg and chain rest. Designed for short reach brakes with recessed bolts, 6 or 7 speeds (126mm rear) and 700C wheels. Designed specifically for time trialing and triathalons. Featuring a sloping top tube and designed for a 24" front wheel to help situate the rider in the best aerodynamic position. Both frames are built with painstaking care to provide performance characteristics that rival the finest hand-crafted frames in the world. Braze-Ons: top tube guides, bottom bracket guides, 2 sets of bottle bosses, shift lever bosses, pump peg and chain rest. Designed for short reach brakes with recessed bolts 6 speed (126mm rear). Theoretical horizontal length at seat lug. Frame: Tange prestige tubing, investment cast lugs and bottom bracket, English thread (1.370" x 24 TPI), forged dropouts, 27.2mm seat tube. Fork: Tange blades, investment cast crown, forged dropouts, 22.2mm steering tube, English thread (1" x 24 TPI). Equipment: Tange falcon alloy sealed headset, installed. Colors: Red fade to white black fade to grey. TT color: Red, white and blue fade. A whole new breed of Schwinn with an aluminum frame designed unlike any other. An entirely new breed of Schwinn. A triumph of aluminum technology and innovation. Begin with an exclusive computer aided design that optimizes three outstanding ride characteristics: lightweight, shock absorbency and rigidity. Take a unique aerospace aluminum tubing, butted by an exacting process to provide optimal joint strength at minimal weight. Then precision TIG welded to ensure the frame's structural integrity and frame alignment. The result is a ride that's truer, requiring less effort to maintain your speed so you can go faster, longer. More of your energy is converted into motion and less absorbed by the frame. High performance components including SunTour's Sprint AccuShift derailleurs, Cinelli handlebars and stems, Tange Aero fork with forged dropouts and a readily accessible and adjustable expanding seat post help make this new breed of Aluminum ideal for criteriums and triathalons. The aluminum is backed with Schwinn's famous "No Time Limit" warrant. Another indication of the confidence that goes into the making of this new aluminum Schwinn. Experience aluminum innovation unlike any other and fly first-class in a style all your own. Computer Aided Design (CAD) assists in the analysis of tubing diameters, wall thicknesses and selection of alloy grades to develop precise frame design. Joint analysis determines stress points of frame. Butted aluminum tubing strengthens joints while minimizing weight. At the seat stays, a highly stressed area, a forged yoke allows for maximum rigidity with minimum weight. The result is better power transmission to help you accelerate faster. Unique forged aluminum rear dropouts and an internal expansion seat post make for a clean design. Other welded aluminum frames are heat treated after welding to replace strength lost from welding's heat. This can result in bowed tubes or mis-aligned frames. Special aerospace aluminum tubing does not require this heat treatment. This affords you the rider, the best aluminum frame possible. The Circuit is a pure bred road racer that feature chrome aero fork and rear aero stays. Comprehensively designed for lightweight speed and the unique demands of competitive racing. The Circuit and Tempo blend state of the art indexed shifting with European racing frame tubing for maximum competitive advantage. Designed for the demands of serious competition. The Tempo's Eurostyling and attention to engineering detail make it a triathalon favorite. Circuit and Tempo for the fast lane. 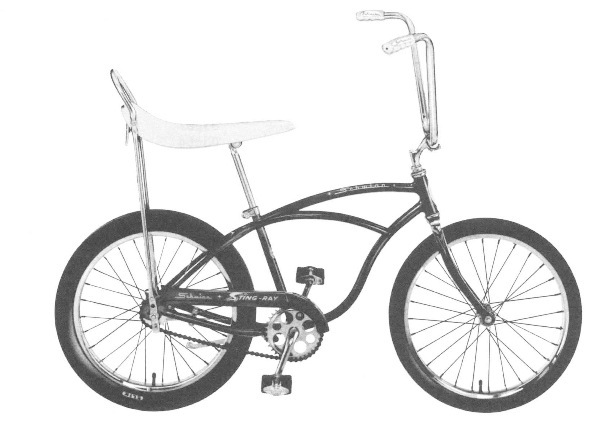 See the complete history of the Schwinn Tempo. Introducing Premis and Prelude for 1988. Schwinn lightweights that command special status in the realm of contemporary high performance cycling. The Premis does color coordinated componentry, while the newly refined Prelude offers you entry level racing geometry. Both possess an array of carefully selected features that result in a perfect blend of lightspeed performance and contemporary styling. Your entry into the realm of high performance cycling. Tour the wide-open road on the '88 Schwinn Voyageur - the latest exercise in combining touring comfort and lightweight performance. Featuring a 40-spoke rear wheel, triple Biopace chainrings, rear SIS shifting and a full array of braze-ons for multiple racks and bottles. The ultimate attention to detail in a touring bicycle. An extensive list of features including indexed shifting, chrome-moly tubing, front and rear quick-release wheels and alloy rims complete these lightweight sport bicycles. For the rider who seeks adventure and recreation in a lightweight sport bicycle - LeTour, Traceler and World Sport for 1988. These three sport bicycles combine comfortable frame geometry with the latest component innovations. Experience the look and feel of performance sport bicycling. Designed to offer you the pleasures of bicycling for any purpose at a value that goes a long, long way. Enjoy the fun and value of 1988 World, Sprint and Caliente - three versatile lightweight bicycles that deliver the goods and are fun to ride. Like all Schwinn fully assembled bicycles, they're backed by our 30-day free checkup and Schwinn's famous "No Time Limit" warranty, so your investment in fun and fitness is protected for as long as you own your Schwinn. See your Authorized Schwinn Dealer for all that's new for 1988 and enjoy the pleasures of bicycles for any purpose at a value that goes a long, long way. The Spring is an all purpose lightweight bike, it delivers a high quality ride and looks at a down to earth price. SunTour Alegri deraukkeyr systen wutg easy to reach stem shifters. A lively new lightweight for '88. The Caliente is a pleasure to ride and it delivers the goods in looks and performance. Our most affordable lightweight. This is the Schwinn catalog for 1988.